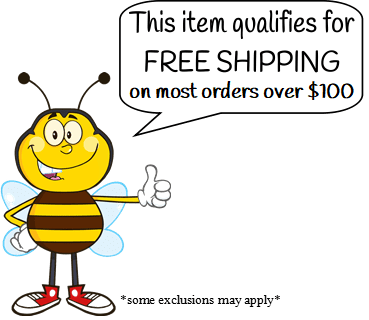 Nuc / package bee mesh transport bags from Lappe's Bee Supply provide you with the safest and easiest way to transport packages and nucs of honey bees. Special transport bags are made of a breathable mesh with your choice of a zippered closure, or a cinch closure, to ensure bees are kept securely contained inside of the bag, and not inside of your vehicle. Zipper closure zips at the top; simply place your bag on the ground, set your nuc or package(s) on top, pull the bag up and zip closed. Cinch closure closes at the end; slide your nuc or set your package(s) inside of the bag and tighten the cinch closure completely shut. Use our mesh transport bags to stay worry free during your drive home. Bags can transport one nuc, or up to 2 packages at a time. I was in the process of making one of these and it would if cost me more and not been anywhere near as nice. I don't have a pick up to haul bees in so they go in my backseat. No matter what a few find their way out, with this bag I'll have no more worries. Super soft and fully breathable will keep the girls where they belong. Excellent design and the stitching looks really nice.